Printing quantity is 500 nos, 1000 nos, 2000 nos, 5000 nos and more as per requirements. 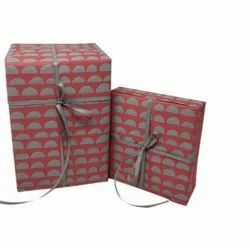 We offer Corrugated Wrapping, including wrapping papers, which is used in drawing as well as wrapping different items. Our range of product are flexible and shock absorbing that ensures protection and safety from scratches, chips or breaks during transportation. Size (l x b in Inches if custom size needed): 20" x 20"
As a quality focused firm, we are engaged in offering a high quality range of Holographic Blue Wrapping Paper. With immense market knowledge, we have been able to provide optimum quality Holographic Wrapping Paper.